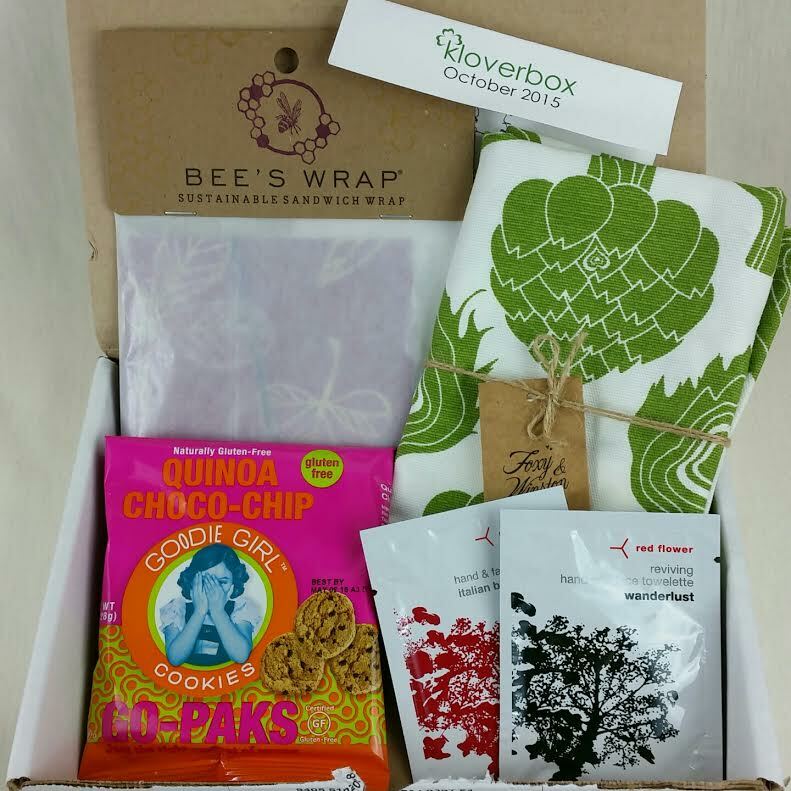 The October 2015 Kloverbox got sent out soooo late! I'm not sure what happened but I'm glad it's here now. Woohoo! Kloverbox does a fantastic job of sending either natural, organic, sustainable and/or eco-friendly beauty products and home goods every month. I love this subscription for a lot of reasons and one of them is that it's not always beauty! I love getting things for the house and this month is all over that. Part of the fun of this box is that all these companies are owned by women! 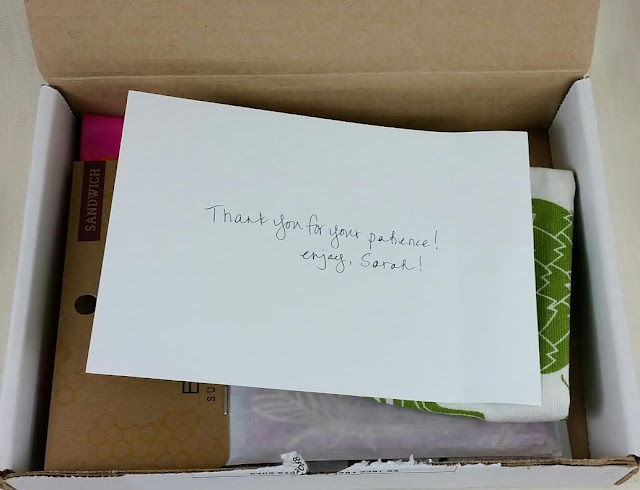 So this October box is giving props to the girls this month which you know I always am a big fan of. Foxy & Winston Organic Kitchen Towel- There are four designs and I got green artichokes! I love it and I hope I can trade for more. I'd love to have the elephant one. These are nice big towels, too. Since I use these things every day, I'm always happy to have more (and to have something to replace my old ugly ones). 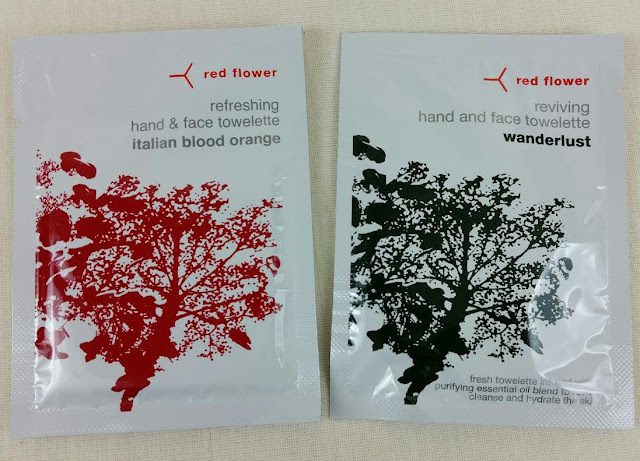 Red Flower Face and Hand Towelettes- I'm actually not a big fan of Red Flower or their scents. I think part of it is because they act like they're natural and organic, etc but they're not. At all. They have no certifications for either. I have no idea who their target market is, in that respect. They tout all "botanical" ingredients for their skincare but none of what they're using is new or innovative nor does it have any scientific research behind it. But enough of that rant since it has nothing to do with Kloverbox. I like getting towelettes and I'm getting a pretty good collection now. I keep at least one in every handbag and wallet I own. Just in case. 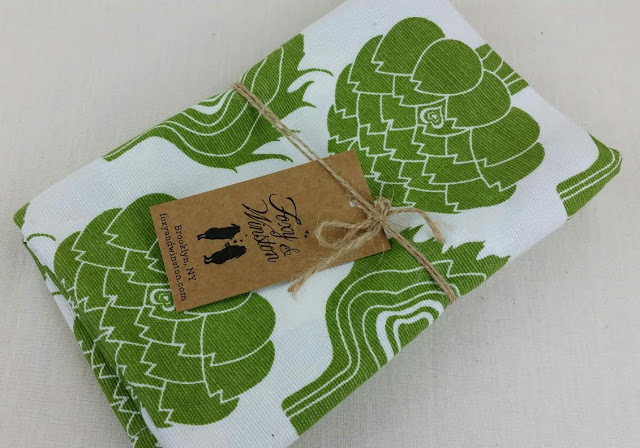 Bee's Wrap Sandwich Wrap in Clover Print- This so pretty! And cute with the button and string. 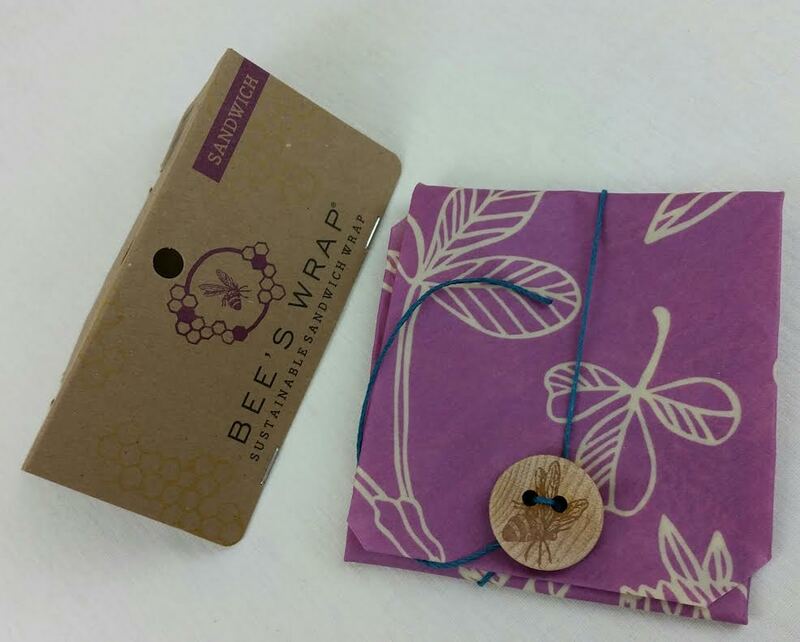 This is made of fabric that has been infused with beeswax, jojoba oil and tree resin. I have some of this in a different size and I've used it many times. It's to be used instead of plastic wrap and you can wash it and reuse it as often as you want. I use it to cover dishes in the fridge or for before parties as a cover over foods. I've used them to wrap up leftover pizza, too. They have a pretty strong honey/beeswax scent at first but that goes away with washing. This particular one is for wrapping sandwiches but I've already used it to wrap up a stack of leftover cookies. I actually really like button and string since it keeps everything closed up. 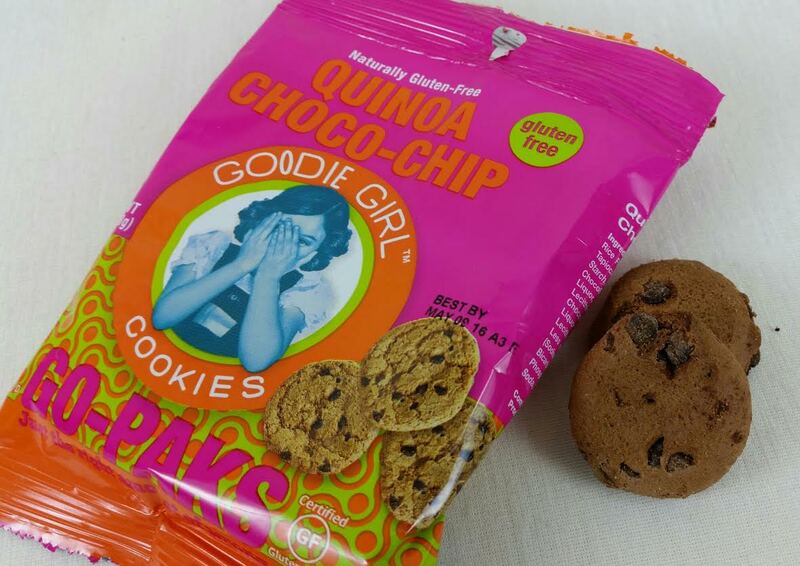 Goodie Girl Cookies in Quinoa Chocolate Chip- In case anyone is wondering, quinoa is pronounced Keen-wah. I learned that the embarrassing hard way about ten years ago. But really, who would know that without ever hearing it?! Anyhoo, these cookies are pretty tasty! They're crunchy and gluten free but they also have real chocolate chips! Not a fan of that whole carob thing. At all. VERDICT: I love Kloverbox and even though this was late (which really never bothers me much anyway) and even though it was worth just the cost of the box, I still can't stop enjoying the contents and curation of these boxes. We have been SO spoiled lately with these soaring box values. 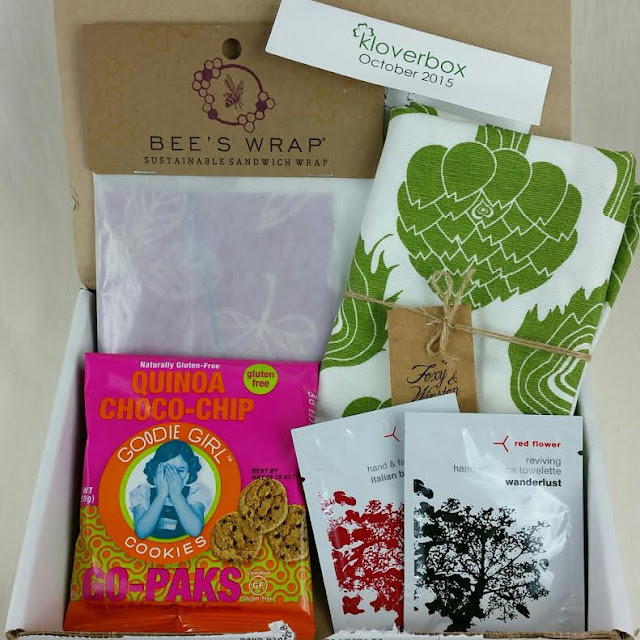 I think Kloverbox is one of the few organic/natural subscription boxes that consistently has a value far beyond the cost of the box. I don't know what magic they're working but I love it! I've got to get more of these towels, too. If you would like to sign up for Kloverbox, you can do that here. I believe you'll start with the December box and you can use coupon BAB10 to get 10% off your first month! What do you think of Kloverbox?